Hey everyone, I've got about 17 different stories that I would like to tell you about New Jersey, and since mostly like 14 of them won't get told, I think I better start with the most important one because for the first time in a long time, my son has found a frozen treat he "loves". Should we start at the very beginning of this adventure? A lot of you have heard of Rita's Italian Ice right? I certainly have though unfortunately I don't think I've ever tried it. For whatever reason they aren't that big in Southern Jersey, but a lot of local places serve Philadelphia Water Ice. In fact, I even saw some pints of Water Ice at the local ACME grocery store, but in our story my son tried their cherry flavor Tuesday night at a local scoop shop and he didn't really like it. One, he's just not that in to fruit flavors and that's all they had. Two, while the water ice wasn't as hard as say Lindy's or Luigi's, it wasn't exactly super soft. Once he had given up on it, I tried a few bites so as not to waste. It was alright, thought it was kind of hard to gauge since I was drinking a cookies 'n cream milkshake at the time. Fast forward to Wednesday night and the two of us are wasting time on the Wildwood boardwalk. The oppressive humidity was killing any urge for ice cream, but man was I thirsty. The kind of thirst that can only be satisfied by icy cold sugary goodness. This is a cherry Polish Ice and while the name is probably throwing you off, I gotta tell ya, it's kind of genius. Picture Italian ice that has come out of a soft serve machine because that's the gist of it all, and it works, it really works. Do they use a little dairy magic to make it happen? NOPE! 100% Dairy free, and just for good measure, they don't have any nut based flavors. Oh yeah, I'm loving this concept. I wish I had one with me right now to describe, but it's the softest ice you'll ever eat. It's a slurpee or icee that's more solid, but I hate saying that because those are drinks and this is not a drink. This is more special and it hit the spot. The ice is just super fine yet still textured. It was just easy to eat and enjoy and I was amazed at how good it was. As we're walking back to the car, my son's kind of giving me that look, because, well, he kind of regrets not getting one. I let him take a few bites and he likes it more than the water ice. There's no love yet, but it's a definite improvement. As we drive off, he goes "I wish I had gotten the chocolate flavor". Chocolate flavor? No bud, I think that was root beer, but he's adamant, and to be honest, there's a good chance he's right. We grab my wife and daughter from their event and then head back to the boardwalk for a late night Ferris wheel ride. Afterwards I buy them some Kohr Bros softserve and my son gives me that look again. "Can I try the chocolate now?". Alright, let's go see if they have chocolate. 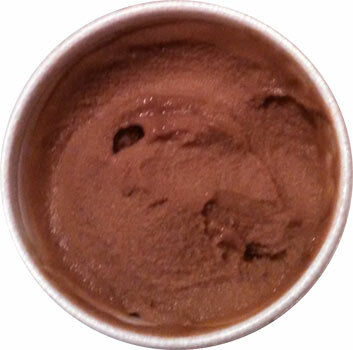 This is a chocolate Polish ice and my son loved it. While they do indeed have a root beer flavor, they also have a chocolate and he really dug it. It was late so he didn't eat a ton of it, but he was so smitten with it that he made me get him another on our last day and he ate a good chunk of that one. While it took me a few bites to figure it out on that first night because I thought I detected a little root beer at first, the overall flavor is that of a tootsie roll, and it works surprisingly well in this form factor. I mean, I'd much rather have my beloved cherry, but this was one neat trick of food magic. He was just so happy with his treat that it made our trip just that much better. So, would you try this? Or should I say, have I sold you on this idea yet? This is way more fun than any Italian ice I've ever eaten and is a great idea for any busy summer destination. I mean, come on, when you grab one of those Italian ices at some festival or game, what's the best part? The soft, melting part! So why wait for it to thaw in your hands when you can have it ready to go from the start? Their website says there are currently 10 locations and I want to say that I walked by four of their five Wildwood locations. Some have soft serve and blizzard like treats, but I took my son to one of their smaller locations that was just Polish ice, nothing else. You see, at the places with soft serve, you can get things like Reese's and Snickers blended in to your "Polish Chiller", but I say, they are missing an opportunity here. Yes, they have the dairy free crowd, but let's get all the allergen folks in here. Rid all the stores of nuts and then be mindful of which stores have dairy, put the dairy on one side and have their own equipment to keep cross contamination to a minimum if you need a store with both products. Go beyond the dairy free aspect and really sell the allergy free aspect of this stuff. My son hasn't been this excited by a frozen product in ages and all the regular folks will dig this too. I'm being serious here. If I had the cash, I could totally see trying to get some franchise rights to bring this to Hampton Beach, and then Old Orchard Beach and maybe even York Beach if the demand is there. This is different enough to make a difference in those spots. Oh I wish I had some secret angel investors to help me out here. 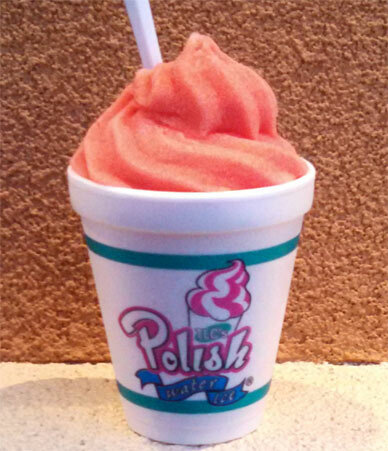 Keep in mind that the Polish fellow that invented this only opened his first shop in 1997 and now has 10 locations. I know that may not sound huge, but that's mighty respectable in my mind. Dubba's 1st Note: I'm going to get comments that say "Rita's does the same thing!" aren't I? I love TLC Polish Water Ice! Their cotton candy flavor is my absolute favorite; I get it in Ocean City, MD all the time!! 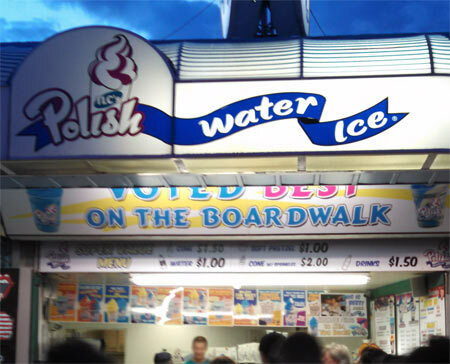 I have been getting Polish Water Ice at Wildwood for years now! It is my favorite, I get one everynight we are there. They are awesome. 100% better than a Rita's hands down. They now have one in Allentown Pa. also.